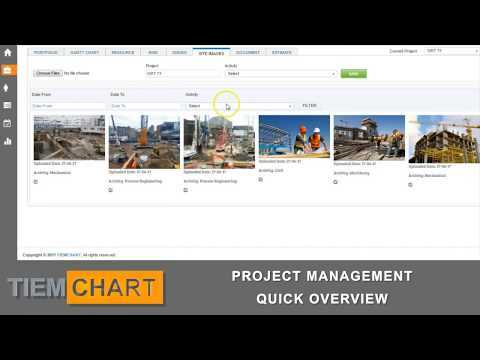 TIEMCHART is online project management software for all size of business. It offers best alternative solution to MS Project. Comes with advanced Gantt chart tools to manage task and resources. It also includes Timesheet management with Billing and Costing module. TIEMCHART is available as Software as a Service (SaaS) meaning users can set up an account and access the software anytime, from anywhere. TIEMCHART can also be deployed on-premises. Online Gantt Chart tools to manage task and resources. Financial Management that offers complete billing and job costing module. It is a true enterprise solution for your business. Below are some frequently asked questions for TIEMCHART. Q. What type of pricing plans does TIEMCHART offer? Q. Who are the typical users of TIEMCHART? Q. What languages does TIEMCHART support? Q. Does TIEMCHART support mobile devices? Q. Does TIEMCHART offer an API? No, TIEMCHART does not have an API available. Q. What other apps does TIEMCHART integrate with? Q. What level of support does TIEMCHART offer?